We're delighted to announce that the M&S Company Archive Schools Programme has been awarded the Learning Outside the Classroom Quality Badge. 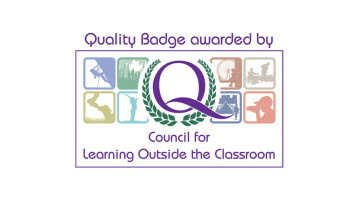 The badge recognises the quality of our schools provision and the archive as a learning venue. We join other major organisations like the Imperial War Museum, Museum of London, The National Archives and National Media Museum (among others) in holding the badge. Our Schools Programme is free and offers cross-curricula workshops hosted at the M&S Company Archive or in the classroom. School pupils can explore history, art & design, technology and much more through our fascinating collections. Workshops include Packet Perfect for the Planet, during which pupils design and make their packaging while learning more about recycling and saving the planet. By the Company Archive's first birthday in March 2013 we'll have involved 1000 school pupils across all age groups in our workshops - both on site and via outreach in schools. We're thrilled with the award, and hope to welcome many more pupils to the archive in 2013.